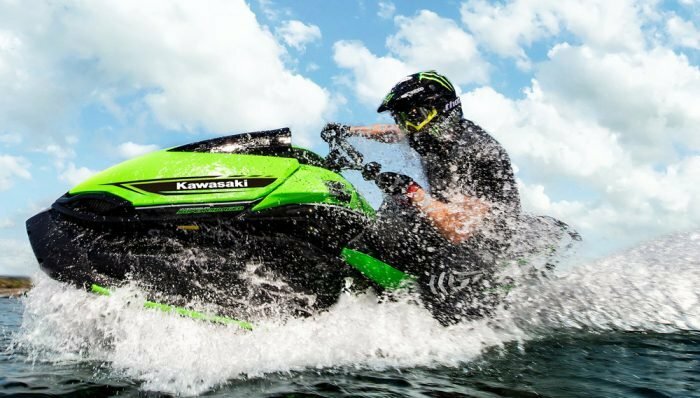 In it’s natural state, Sea-Doo’s popular RXP 215 is a powerful machine. 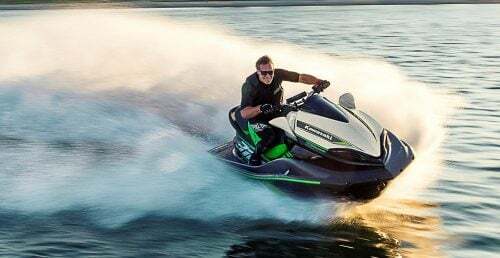 At its core lies a 1,494cc four-stroke, single-overhead came engine, with multi-port fuel injection, boosted substantially by an intercooled centrifugal supercharger. 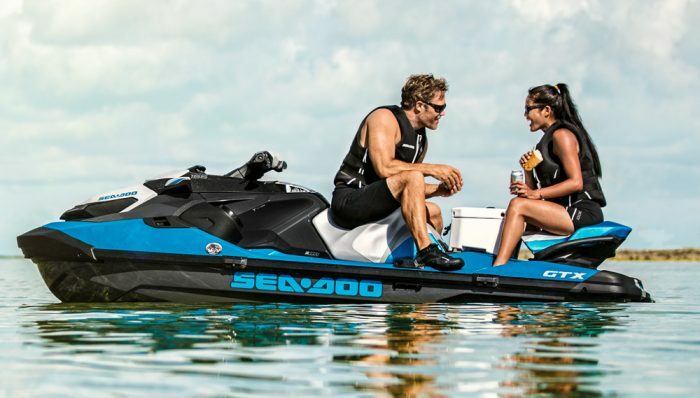 Sea-Doo rates this combination at an optimistic 215 hp, but even if that number is off by a few digits, the resulting power is impressive. Stock units typically run in the neighborhood of 67+ mph; with a light load and ideal conditions, those numbers can climb as high as 69. Still, a good thing can get better. And no company knows that better than aftermarket performance giant Riva Racing. While Riva has made their mark on the racecourse, as well as by producing individual components, it’s arguably the company’s package concept that has caught the attention of most consumers. Individual products, tested and proven to work together, are packaged into “stage” kits. Stage I mods are typically simple bolt-ons at a reasonable price; Stage III kits are full-on speed demons, full of exotic hop-ups and promising race-winning top speeds. Customers not only get Riva’s expertise and package discount when they buy a kit, they also gain access to toll-free support from Riva’s crack tech team. Stage kits have been a home run almost from the start. 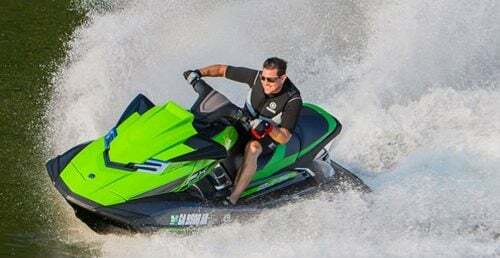 I recently tested a reasonably priced Stage I kit for one of the most popular performance machines on the market, Sea-Doo’s RXP 215. Riva promises their Stage I kit ($734.50) will boost a stock RXP beyond the 70-mph mark. The goal? Around 72 mph, a decent bump from the stock package for this price range. Riva Racing’s RXP Stage I kit. 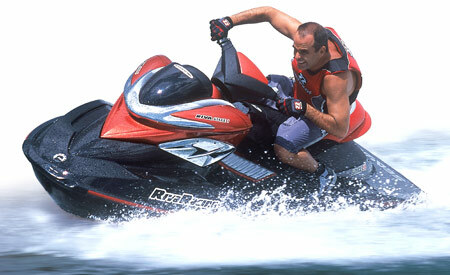 Riva also offers higher performance Stage II and Stage III kits for the Sea-Doo RXP. The lone engine compartment mod consists of a Riva Power Filter, a bolt-on air intake system that replaces the more restrictive stock intake. In essence it’s a 3” diameter elongated duct with a J-shaped hook. At the end Riva positions an oversized K&N air filter. The Power Filter is designed to improve acceleration as well as increase RPM by funneling a greater supply of cool air to the supercharger. The rest of the mods are reserved for the craft’s pump. 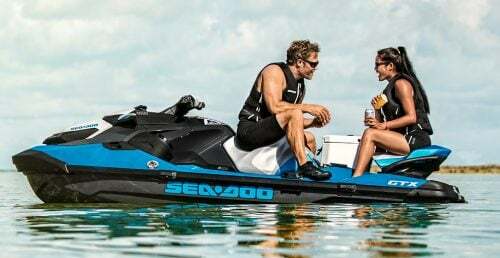 Riva increases the boat’s running angle at speed through the use of a two-degree wedge, which is placed between the pump stator and the output nozzle to raise the bow and eliminate drag. A Solas impeller also takes the place of the stock unit, and features a unique pitch selected by Riva. The water being fed to that impeller is funneled through the final component, a Riva top-loading intake grate, which features a top-loader style reverse wing to better load the top of the pump, as well as increase the overall flow of water. The grate is designed to eliminate prop spin and reduce any cavitation. Installation is relatively straightforward; I accomplished the job in under four hours. The Power Filter is the lone real challenge, if only due to the tight confines of the RXP engine compartment. Hints include removing the engine compartment cowling, and taping the exposed fiberglass edges temporarily to avoid cutting up your arms during the struggle. I found that by removing the stock unit one section at a time the job was simpler. I pulled the forward segment out through the bow storage hatch, and eased the rest of the assembly back through the engine compartment. The shorter Riva unit is then installed with a simple sweeping motion, one end fastened at the supercharger and the other at the engine. Pump components require removal of the pump assembly, performed with basic hand tools. 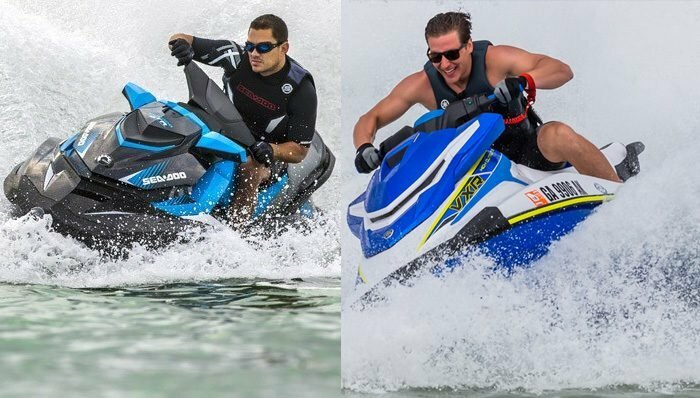 Removing the impeller requires the lone specialty tool, a small splined shaft available from any Sea-Doo dealer. The pump wedge is installed as the pump is put back together. The assembly is finished with the new grate installed, and silicone sealant applied. My test began with a stock RXP 215 on Riva’s nearby test lake. Numbers were very good out of the box, with the stocker registering a 69.1 mph average and accelerating from 0-30 mph in 1.72 seconds. After installing the components, we returned to the lake the next morning to verify the results in similar conditions. The Riva RXP 215 Stage I kit performed as advertised in our test, with nearly a 3 mph gain over the stock unit. 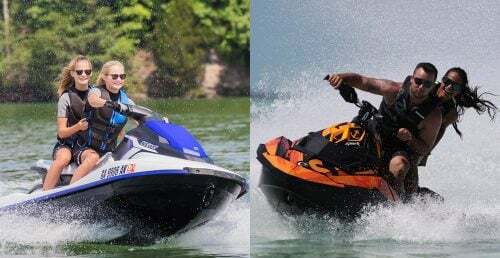 As promised, gains were felt both from a seat-of-pants perspective and against the radar gun, mostly at the top end of the performance spectrum. Average speed was now just shy of 72 mph at a 71.9 mph average, or as promoted, nearly a 3 mph gain over the stock unit. Acceleration, meanwhile, inched forward slightly as well, averaging 1.65 seconds from 0-30 mph. 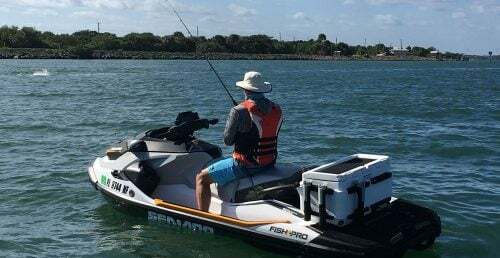 A 3 mph boost is a significant gain for the cost, and one that promises a Stage I RXP 215 will run with most of the competition you’ll find at your local waterways. Stage II and III packages are available for those willing to spend more cash in search of more performance. 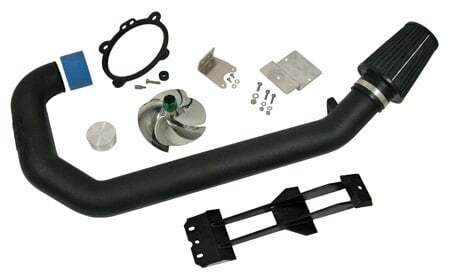 A Stage II package runs $2,845 and adds more components en route to a reported 75 mph average. Stage III increases the total to $5,972, but promises to up the performance to 80 mph and reach 30 mph as quick as 1.4 seconds. Details can be found at each package at http://www.rivaracing.com/.